Learn how to take the next step in your life and create your new future. 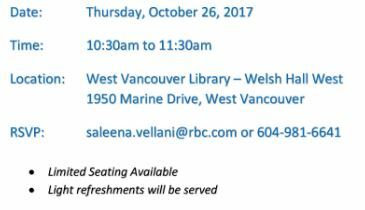 Thursday October 26th, 2017 from 10:30am to 11:30am at the West Van Library – Welsh Room (downstairs). Come early to reserve your spot. Coffee and refreshments will be served.